I was fortunate to stumble upon the France is AI event this past week. As much as I dislike the name of the conference – I mean really, we cannot always directly translate phrases from one language to another without ensuring the result has the same impact as in he original language. Or perhaps it’s me who doesn’t get the clever play on words and charming double meaning? 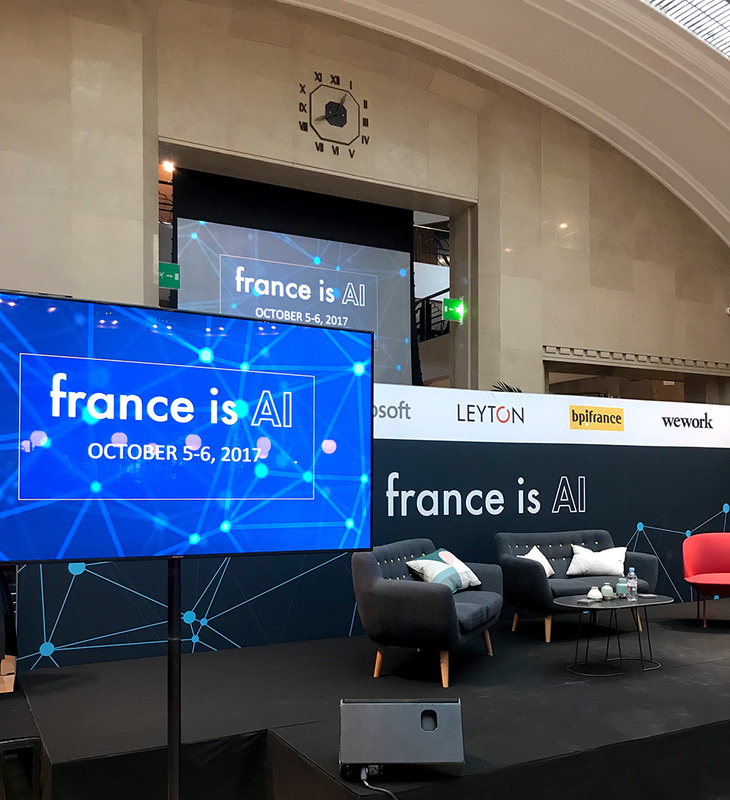 The mission of France is AI is to support and promote the French Artificial Intelligence ecosystem while building bridges with the other AI hubs, locally and internationally. It was the conference’s second edition, two days of roundtables, talks, and startup competition with researchers, entrepreneurs, executives and VCs. Overall, the event was very interesting and sometimes insightful. As someone who works on the creative (not technical) side of the industry, it helped me discover and understand some of the processes used by engineers and data experts. Vocabulary is key, and some of the meanings attached to simple words like “features” are not always the same from one field to another. In machine learning and pattern recognition, a feature is an individual measurable property or characteristic of a phenomenon being observed. Choosing informative, discriminating and independent features is a crucial step for effective algorithms in pattern recognition, classification and regression. There were speakers from various companies and organizations, the usual suspects such as Microsoft, Facebook, Walmart, Twitter, Criteo, Huawei, SNCF, etc. As well as educational institutions such as ENS, INRIA, Rouen University, UPMC. For me, the most interesting discovery was that of Women in AI (fortunate not to be named “Women are AI”), as per their website: “We are a group of passionate international women who are experts and self-trained in the field of Artificial Intelligence. We felt the lack of diversity of women in this field and we want to change it.” Moon Asghari represented the community and gave an interesting talk about their support in closing the gender gap, education, research and studies. I’m looking forward to next year’s edition. Hopefully France will still be AI.